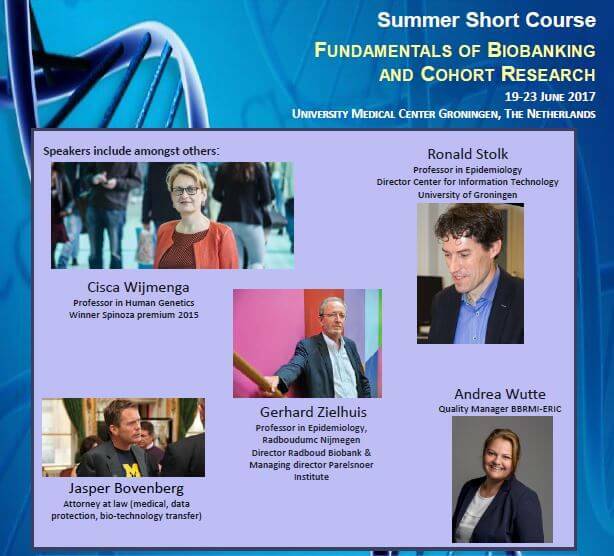 The Summer School Biobanking will once again take place at the University Medical Center Groningen this year. The five-day programme will introduce participants to biobanking and cohort research, accompanied by a range of social activities that will give people the opportunity to network and explore the charming city of Groningen. We are delighted that Andrea Wutte, BBMRI-ERIC’s Quality Manager, will be among the speakers!